208 pages | 5 B/W Illus. 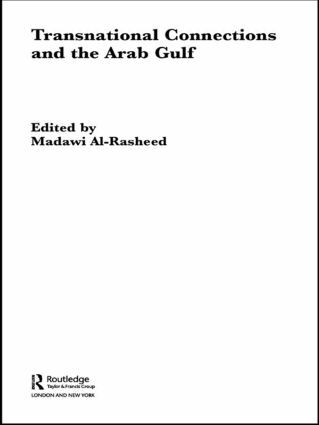 Transnational Connections and the Arab Gulf presents a study of transnational cultural flows in the Gulf region and beyond. It combines an understanding of the region's historical connections with the outside world and an assessment of contemporary consequences of these connections. The contributors collected here analyze and map historical and contemporary manifestations of transnational networks within this region, linking them to wider debates on society, identity and political culture. Madawi Al-Rasheed is Senior Lecturer in Social Anthropology at King's College, University of London.